β-cyclodextrin-based star amphiphilic copolymers : synthesis, characterization and evaluation as artificial channels. I.Faye, C.Huin, N.Illy, V.Bennevault, P.Guégan, Macromolecular Chemistry and Physics 2018, 1800308. 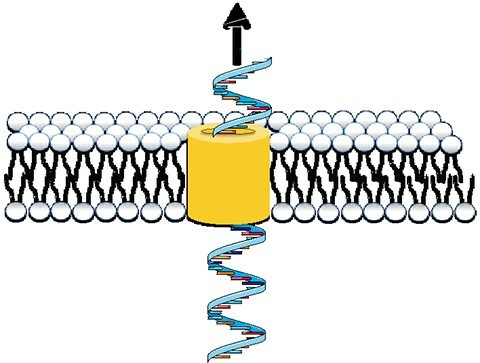 Polynucleotide Transport through Lipid Membrane in the Presence of Starburst Cyclodextrin-Based Poly(Ethylene Glycol)s. Z.Eskandani, T.Le Gall, T.Montier, P.Lehn, F.Montel, L.Auvray, C.Huin, P.Guégan, European Physical Journal E 2018, 41, 132. L.Bacri, C.Huin, C.Przybylski, B.Thiébot, G.Patriarche, N.Jarroux, J.Pelta, Nanoscale 2018, 10, 15303. Topology and Electronic Density Driven Generation of Alkali Cation. H.Boufroura, S.Poyer, A.Gaucher, C.Huin, J.-Y.Salpin, G.Clavier, D.Prim, Chem. Eur.J. 2018, 24, 8656. Curcumin/poly(2-Methyl-2-Oxazoline-B-Tetrahydrofuran-B-2-Methyl-2-Oxazoline) Formulation : An Improved Penetration and Biological Effect of Curcumin in F508del-CFTR Cell Lines. C.Gonçalves, J.P.Gomez, W.Même, B.Rasolonjatovo, D.Gosset, S.Nedellec, P.Hulin, C.Huin, T.Le Gall, T.Montier, P.Lehn, C.Pichon, P.Guégan, H.Cheradame, P.Midoux, Eur. J. Pharm. Biopharm., 2017, 117, 168.